Search Engines rely on critical web site components to index and rank your web site. Ensuring your site contains these items increases your web site’s visibility when customers look for you, your company, or the services or products you provide. Solid, relevant content in the area you’re trying to rank. After ensuring your website is structurally sound, WWWebMaster employs tried, true, and lasting search engine optimization (SEO) strategies to get your web site indexed and viewed as MORE relevant than your competition. People should be wary of supposed SEO experts who use “tricks” and try to “game” the system. Google continually updates their search engine algorithm to help the searching public find the best and most relevant results to their search queries. 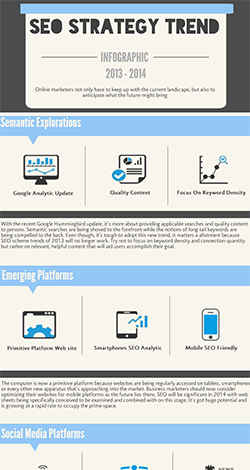 Among SEO experts, Google updates are infamous for code titles like Panda, Penguin and Hummingbird. The reality is, search engines are dynamically changing to the rapidly growing web and constantly change how they view and evaluate web sites. WWWebMaster knows what Google wants from a SEO expert and understands that Bing and others do things differently. The goal of search engine optimization is to get your web site indexed, achieve a high page rank (PR) and importantly, keep it there over time. We have many solutions to achieving your SEO goals. Contact WWWebMaster now.